Pre-owned vehicle pricing includes all offers and incentives. Tax, Title and Tags not included in vehicle prices shown and must be paid by the purchaser. While great effort is made to ensure the accuracy of the information on this site, errors do occur so please verify information with a customer service rep. This is easily done by calling us at (855) 366-9452 or by visiting us at the dealership. 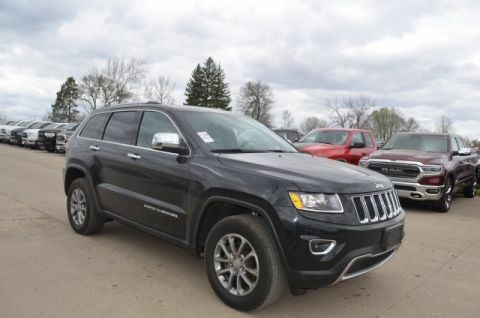 Altitude 4X4 V-6 w/ Full Sunroof & Tow Package.Power Liftgate,Certified. 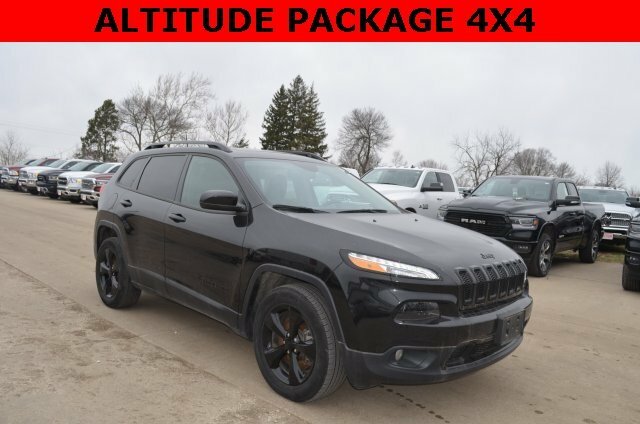 Brilliant Black Crystal Pearlcoat 2016 Jeep Cherokee Latitude 4WD 9-Speed 948TE Automatic 3.2L V6 Remote Start, Clean CarFax, CarFax One-Owner, 7 & 4 Pin Wiring Harness, 8.4 Touchscreen Display(Nav.Capable), ABS brakes, Air Conditioning ATC w/Dual Zone Control, Alloy wheels, Auxiliary Transmission Oil Cooler, Cargo Net, Class III Receiver Hitch, Comfort/Convenience Group, Compass, Electronic Stability Control, Humidity Sensor, Illuminated entry, Low tire pressure warning, Passive Entry/Keyless Go, Power Front/Fixed Rear Full Sunroof, Premium Air Filter, Rear-View Auto-Dimming Mirror w/Microphone, Remote keyless entry, Remote Proximity Keyless Entry, Remote Start System, Security Alarm, Telescoping steering wheel, Tilt steering wheel, Traction control, Trailer Tow Group, Trailer Tow Wiring Harness, Universal Garage Door Opener.Recent Arrival!FCA US Certified Pre-Owned Details: * Transferable Warranty * Warranty Deductible: $100 * Vehicle History * Powertrain Limited Warranty: 84 Month/100,000 Mile (whichever comes first) from original in-service date * Roadside Assistance * Includes First Day Rental, Car Rental Allowance, and Trip Interruption Benefits * Limited Warranty: 3 Month/3,000 Mile (whichever comes first) after new car warranty expires or from certified purchase date * 125 Point InspectionThis vehicle comes with SouthtownCare, a Southtown Exclusive. SouthtownCare consists of complimentary flat tire repair and SouthtownClean, a free car wash with every service visit. 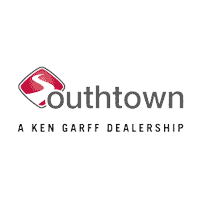 Southtown Chrysler Dodge Jeep Ram joined the Ken Garff Family in 2006. At our dealership, we have a skilled and knowledgeable sales staff with many years of experience satisfying our customers’ needs. 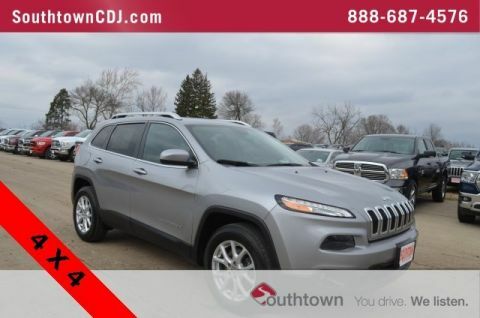 Located in Des Moines, Iowa, our staff at Southtown Chrysler Dodge Jeep Ram will help you find the Chrysler, Jeep, Ram or Dodge vehicle you have been searching for. 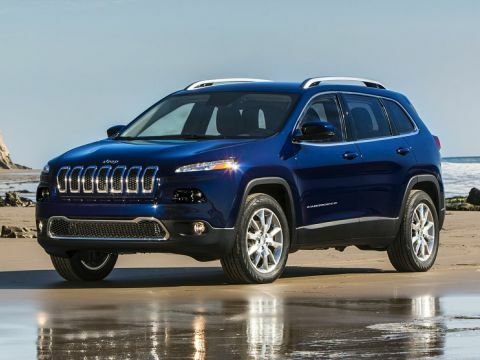 At Southtown, we offer a searchable online inventory of new Chrysler, Jeep, Ram and Dodge cars in Des Moines, along with well-maintained used cars from today’s top manufacturers. Come on in and take a test drive today! We’re just a short drive from Indianola, Clive, Pella, Norwalk, Knoxville, and more! 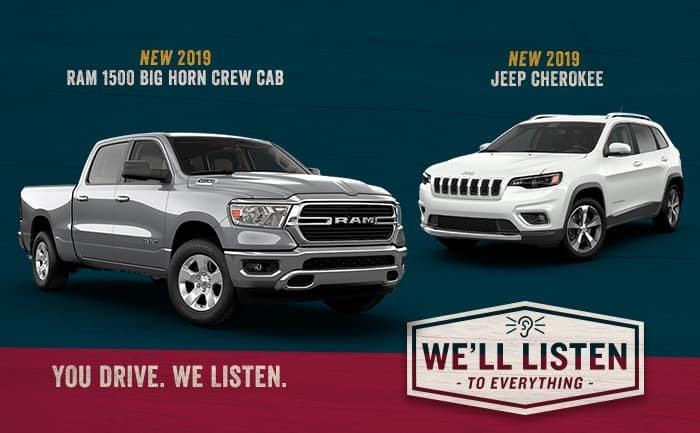 Southtown Chrysler Dodge Jeep Ram	41.3892203, -93.5573556.